The heat is on! Golden leaves may be announcing cool weather, but I have something to warm you up. 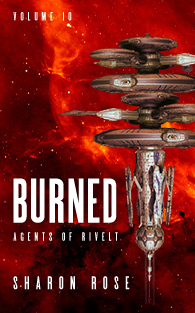 Burned releases today. 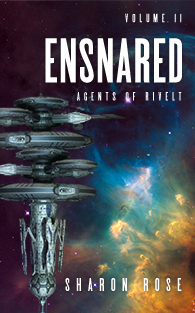 This is the second-to-last short story in the Agents of Rivelt series. I could say this is the most exciting one yet, but I’ll need to say that again when the final story releases in two weeks. Do you prefer to wait until a series is complete before reading it? If so, it’s time to grab the earlier titles and get started. Each of these short stories can stand alone, but there is an overall plot arc across the entire set. If you’ve already been following the stories, you will not want to miss these last two.